This is the 11th in a series of extended posts on Grégoire Chamayou‘s Théorie du drone and covers the first two of three chapters that constitute Part III: Necro-ethics. The title recalls Achille Mbembe‘s seminal essay on ‘Necropolitics’ [Public culture 15 (1) (2003) 11-40], where he cuts the umbilical cord between sovereignty and the state (and supranational institutions) and, inspired by Michel Foucault and Giorgio Agamben, argues that ‘the ultimate expression of sovereignty resides, to a large degree, in the power and the capacity to dictate who may live and who must die.’ Necropolitics is thus about ‘contemporary forms of subjugation of life to the power of death’ – and at the limit the creation of what Mbembe calls ‘death-worlds’. 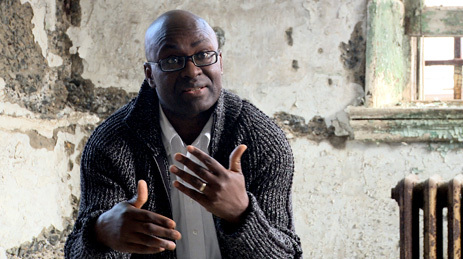 Mbembe develops his thesis in part – and for good reason – in relation to the Israeli occupation of Palestine. I imagine readers will know that the Israeli Defence Force (IDF) advertises itself, incredibly, as ‘the most moral army in the world’, and although Chamayou’s ultimate objectives are different he too begins with a critical interrogation of one version of that claim (you can find much more about it in Muhammad Ali Khalidi‘s fine essay on Gaza in the Journal of Palestine Studies 39 (3) (2010) available on open access here). Chamayou argues that what distinguishes contemporary forms of imperial military violence is not so much the asymmetry of the conflict or the differential distribution of vulnerability which results as the norms that are invoked to regulate its conduct. Towards the end of the twentieth century, he suggests, the ‘quasi-invulnerability’ of the dominant force was transformed into an over-arching politico-ethical framework. 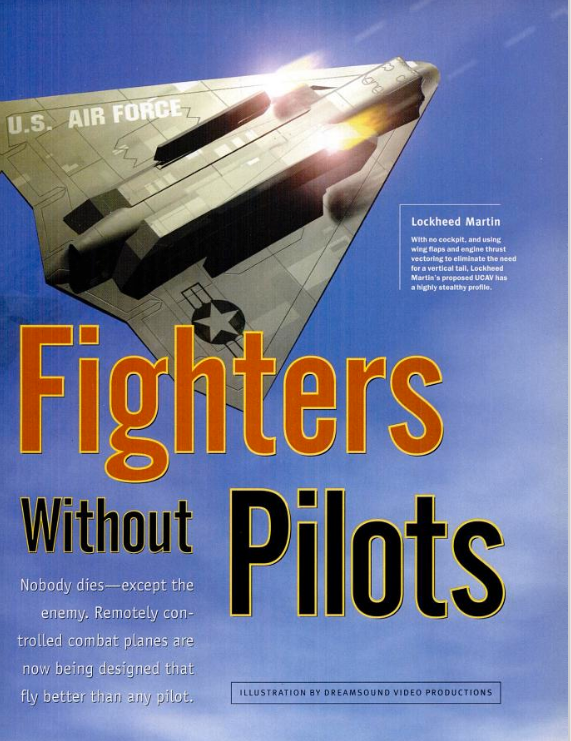 This first came into view during NATO’s intervention in Kosovo in 1999 when force protection was established as the key consideration: not only was the NATO campaign largely confined to bombing from the air (so that, apart from Special Forces, there were few boots – and, more to the point, NATO bodies – on the ground) – but pilots were ordered not to fly below 15,000 feet. This kept them safely beyond the range of anti-aircraft fire, even as it reduced the accuracy of air strikes and endangered the lives of those the intervention was supposed to save. This seems to violate conventional notions of a just or ethical war, effectively turning ‘humanitarian intervention’ on its head, but Chamayou claims that in fact it heralded the explicit formulation of a principle of ‘imperial combatant immunity’. Enter the IDF, stage right. This new doctrine was set out in detail in an essay by Asa Kasher and Amos Yadlin, writing from the ‘Department of Professional Ethics and Philosophy of Practice’ at Tel Aviv University and the IDF College of National Defense, and published as ‘Military ethics of fighting terror: an Israeli perspective’, Journal of military ethics 4 (1) (2005) 3-32. As their affiliation shows, this was not an abstract, academic discussion; Chamayou notes, in an artful twist on Yves Lacoste (La géographie, ça sert, d’abord, à faire la guerre), ‘What use is moral philosophy? Among other things, to wage war…’ (‘A quoi sert la philosophie morale? Entre autres choses, à faire la guerre’) (p. 184). One major issue is the priority given to the duty to minimize casualties among the combatants of the state when they are engaged in combat acts against terror. According to the ordinary conception underlying the distinction between combatants and noncombatants, the former have a lighter package of state duties than the latter. Consequently, the duty to minimize casualties among combatants during combat is last on the list of priorities or next to last, if terrorists are excluded from the category of noncombatants. We reject such conceptions, because we consider them to be immoral. A combatant is a citizen in uniform. In Israel, quite often he is a conscript or on reserve duty. His blood is as red and thick as that of citizens who are not in uniform. His life is as precious as the life of anyone else. A democratic state may send him to a battlefront only because it has a duty to defend its citizens and it cannot do this without some of them defending the others, within the framework of a just system of conscription and reserve duty. The state ought to have a compelling reason for jeopardizing a citizen’s life, whether or not he or she is in uniform. The fact that persons involved in terror are depicted as noncombatants is not a reason for jeopardizing the combatant’s life in their pursuit. He has to fight against terrorists because they are involved in terror. They shoulder the responsibility for their encounter with the combatant and should therefore bear the consequences. (It turns out that there are limits to the privileges accorded to citizen-soldiers: more recently Ha’aretz reports that Kasher suggested in early 2012 that medical experiments can be carried out on them, even if they are not fully informed of the details, in order to ‘build the military force’, though Kasher has contested these accusations and insisted that his opinion stipulated a series of ‘conditions’ that had to be met). I didn’t mention Lacoste casually, because part of Kasher and Yadlin’s argument turns on territory: on the duties imposed by belligerent occupation (‘when a person resides in a territory that is under effective control of the state’). This is a Trojan Horse, needless to say, because they clearly have Gaza in their sights, and their proposal seeks to further the egregious fiction that Israel’s ‘withdrawal’ in 2005 meant that the Palestinians effectively imprisoned in Gaza are no longer subject to Israeli occupation (for more on ‘Gaza under siege’, see here). Chamayou doesn’t dwell on this, but the emphasis on ‘effective control’ could – if you accept Kasher and Yadlin’s grotesque argument (which they insist is a general one) – be brought to bear on the US campaign of targeted killing in the Federally Administered Tribal Areas of Pakistan, in Yemen and in Somalia and be made to intersect with the usual rhetoric about ‘ungoverned spaces’ and ‘lawless zones’. (d.6) Injury as required to the liberties or lives of other persons (outside the state) who are directly involved in terror acts or activities. ‘The point of just war theory is to regulate warfare, to limit its occasions, and to regulate its conduct and legitimate scope. Wars between states should never be total wars between nations or peoples. Whatever happens to the two armies involved, whichever one wins or loses, whatever the nature of the battles or the extent of the casualties, the two nations, the two peoples, must be functioning communities at the war’s end. The war cannot be a war of extermination or ethnic cleansing. And what is true for states is also true for state-like political bodies such as Hamas and Hezbollah, whether they practice terrorism or not. The people they represent or claim to represent are a people like any other. The main attribute of a state is its monopoly on the legitimate use of violence. Fighting against a state is fighting against the human instruments of that monopoly—and not against anyone else…. ‘For Kasher and Yadlin, there no longer is a categorical distinction between combatants and noncombatants. But the distinction should be categorical, since its whole point is to limit wars to those—only those—who have the capacity to injure (or who provide the means to injure)…. Picking up from that last sentence, Chamayou believes that this drift has accelerated and that it is by no means confined to Israel’s ‘traditional establishment’. In his view, the ‘evisceration’ of the core principles of international humanitarian law by a ‘nationalism of self-preservation’ has become ‘the primary guiding principle of the necro-ethics of the drone’ (p. 189). Chamayou seeks to trace a line of descent from the previous arguments to those advanced more recently by academics who directly address (and defend) the US use of drones. He has two men in mind: Avery Plaw, an Associate Professor of Political Science at UMass – Dartmouth, and Bradley Jay Strawser, an Assistant Professor of Philosophy in the Defense Analysis Department at the US Naval Postgraduate School at Monterey. 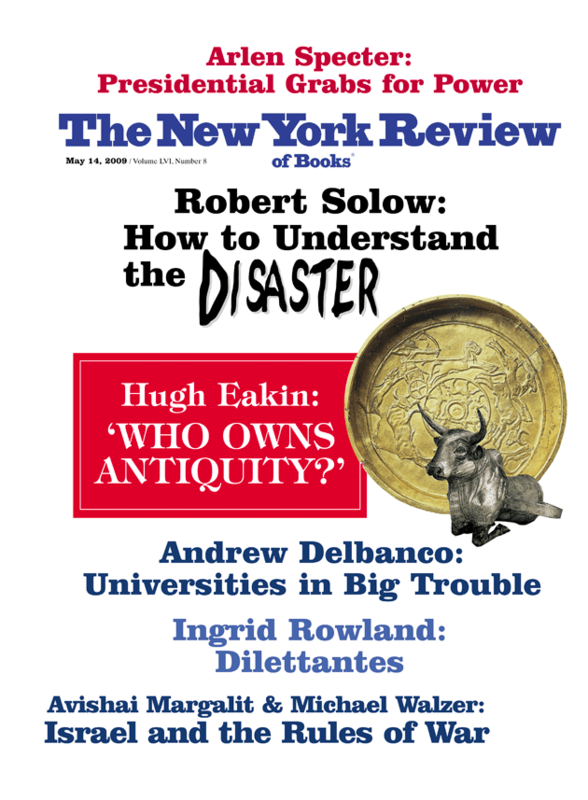 The question seems to invite a biopolitical response – ‘killing in order to let live’, as Mbembe and others would no doubt have it, and Chamayou doesn’t quite provide that – but neither does Plaw quite say what the headline implies. He suggests that ‘drone strikes are the best way to remove an all-too-real threat to American lives’ and that ‘there is evidence that drone strikes are less harmful to civilians than other means of reaching Al Qaeda and affiliates in remote, lawless regions’. Perhaps this amounts to the same thing, but it’s not quite the cold calculus that Chamayou attributes to Plaw. And as I read his (brief) intervention, the ‘American lives’ that Plaw sees as being at risk are not those of, say, ground troops in Afghanistan but of civilians in the continental United States threatened by attacks from al-Qaeda and its affiliates – though even then Plaw would have to explain how they are ‘saved’ by attacks on the Taliban and other militant groups which scarcely pose a trans-continental danger. This is where he turns to – and on – Strawser. Like Plaw, he has had his views publicised in the media –see Rory Carroll on ‘The philosopher making the moral case for US drones’ in the Guardian here and Strawser’s hasty qualification here – but Chamayou directs his attention to Strawser’s essay ‘Moral Predators: the duty to employ uninhabited aerial vehicles’, Journal of military ethics 9 (4) (2010) 342-68. More recently, by the way, he’s edited a collection of essays, Killing by remote control: the ethics of an unmanned military (Oxford University Press, 2013), which includes an essay by Plaw on ‘Counting the dead: the proportionality of predation in Pakistan’ and an exchange between Kasher and Plaw, in which the (I think substantial) differences between the two are clarified. These centre on the principle of distinction: the requirement to discriminate between combatants and civilians. 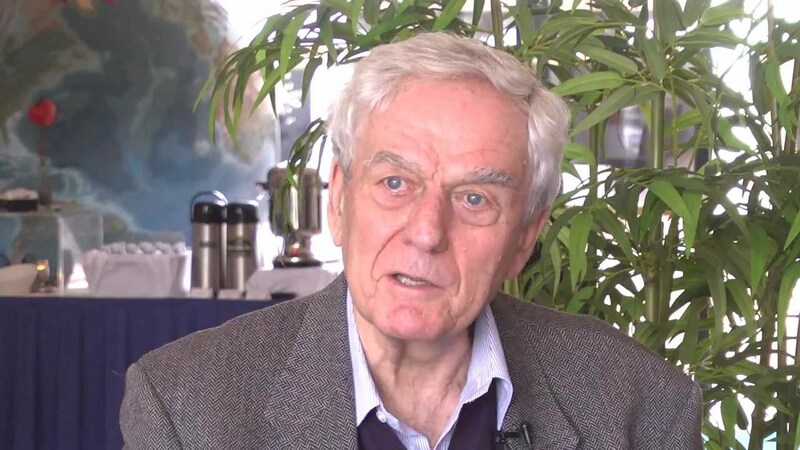 Kasher makes no secret of what he calls his ‘negative attitude to the principle of distinction as it is commonly understood and practically applied’ (which doesn’t leave much room for a positive attitude). ‘Humanitarian’, he insists, means ‘an attitude towards human beings as such, not toward a certain group of people’ – given the way in which the IDF treats Palestinians, this strikes me as pretty thick – so that the principle of distinction is really ‘civilarian’ (his term) and fails to respect ‘the human dignity of combatants in the broad sense of men and women in uniform’ (which isn’t a ‘broad sense’ at all, of course: Kasher’s combatants all wear uniform). ‘A democratic state [sic] owes its citizens in military uniform a special justification for jeopardizing their life when they do it not for the relatively simple reason of defending their fellow citizens,’ he argues, ‘but when they are required to do it for the sake of saving the life of enemy citizens who are not combatants.’ The recourse to drones, he concludes, ‘circumvents such difficulties’. 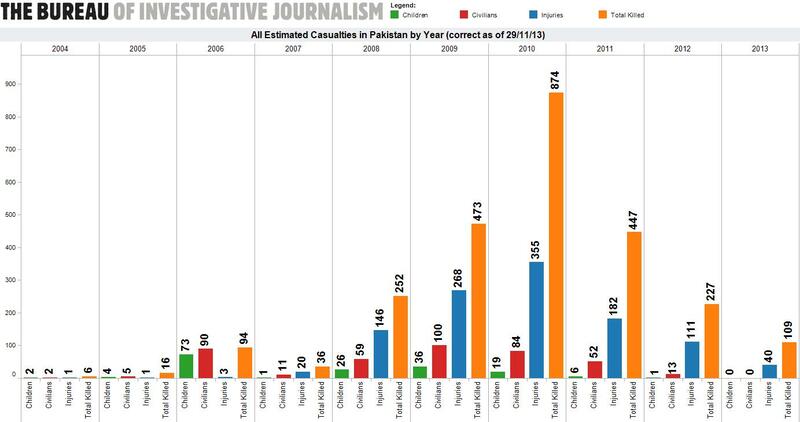 – and Plaw’s analysis of drone strikes in Pakistan from 2004 to 2007. Strawser concedes that the claim for enhanced distinction is an empirical one; Plaw’s analysis needs a fuller examination than I can provide in this post, but it’s important to note that 2007 is a significant cut-off. As the chart below shows, from the splendid Bureau of Investigative Journalism, this is long before the Obama administration ramped up the attacks on the Federally Administered Tribal Areas. 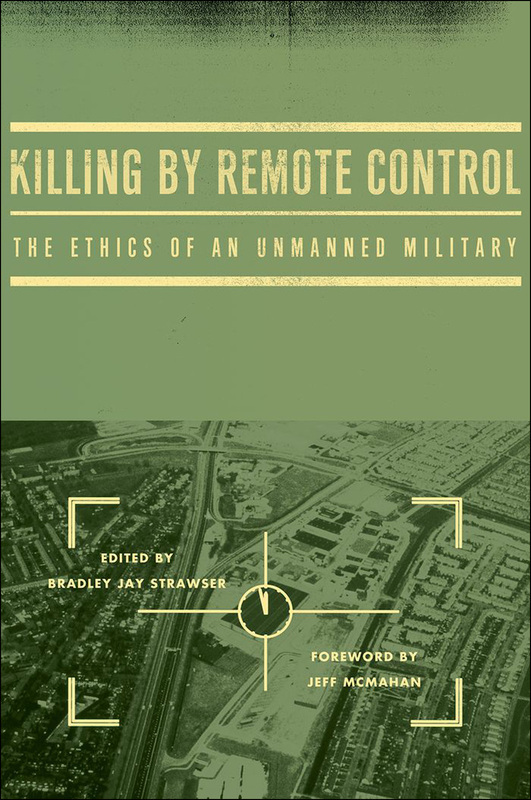 Plaw’s chapter in Killing by remote control extends his analysis to 2011 and concludes that US drone strikes – particularly when weighed against casualties from insurgent attacks or Pakistan military operations in the region – most often meet the demands of proportionality; but the discussion doesn’t directly address discrimination. What Strawser does, Chamayou concludes, is offer a technical resolution of an ethical dilemma: it is not necessary to subordinate one principle to another – minimisation of risk to combatants (‘citizen-soldiers’) or minimisation of risk to non-combatants (‘alien’ or otherwise) – because this new technology of killing promises to satisfy both. In effect, drones are supposed to introduce a new, intrinsically ethical symmetry to asymmetric warfare: they save ‘our’ lives and ‘their’ lives. They combine the power to kill and to save, to wound and to care, a weapon at once humanitarian and military – ‘humilitaire’, as Chamayou has it. (Others have made a case for the humanitarian uses of unarmed drones, but their arguments are a far cry from military applications). Chamayou turns to Weizman deliberately; that ‘field of calculations’, the calculus that is focal to the construction through calibration of our ‘humanitarian present’, is the target of Chamayou’s next and final chapter in his critique of necro-ethics – of which more very soon. This entry was posted in arms and weapons, books, ethics, humanitarianism, Israel/Palestine and tagged Amos Yadlin, Asa Kasher, Avery Plaw, Avishai Margalit, Bradley Jay Strawser, drones, Gaza, Grégoire Chamayou, Michael Walzer by Derek Gregory. Bookmark the permalink. Derek Gregory continues his series of posts on Grégoire Chamayou‘s Théorie du drone.